We're only halfway through the decade, but it's already obvious that Minecraft is the biggest game of the '10s. 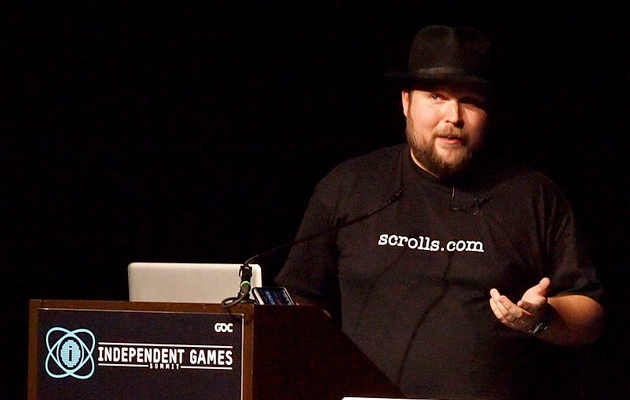 Its creator, Markus “Notch” Persson has now been honored for his achievement with a cover story in Forbes. The piece reveals a few interesting tidbits about how he came to leave the game that made his name, including the fact that the $2.5 billion sale to Microsoft was prompted with a single tweet. On June 6th, 2014, Persson was feeling exhausted with dealing with the Minecraft community, and ventured onto Twitter to release the tension. He asked if anyone would be interested in buying his share of Mojang so that he could “move on with [his] life.” According to the interview, it was mere minutes afterward that Mojang CEO Carl Manneh was being called by a Microsoft executive asking if Persson was serious. Other companies were bidding for control of Minecraft, including Activision Blizzard and Electronic Arts, although talks with the latter stalled because Persson, apparently, isn't a fan of EA's policies.